Rest in peace, violet-eyed legend Liz Taylor. 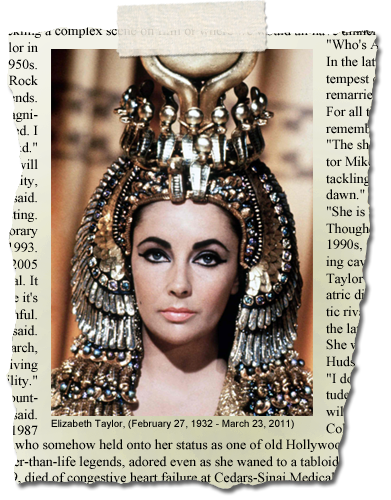 I will always remember your great performance as Cleopatra. My favorite scene of course is when gloriously you entered rome.